Hospitality EPOS systems can also be used for events, pop-up eateries, festivals, and more. Choosing the best POS system for a bar, restaurant or other hospitality business can be a daunting task. To make your decision easier, we have compiled list of the best bar POS systems, restaurant POS systems and POS systems that work for both bars and restaurants. Whether you own or manage a bar or restaurant, or a combination of both, installing and using a quality POS system is an excellent way to significantly improve your business’s efficiency. 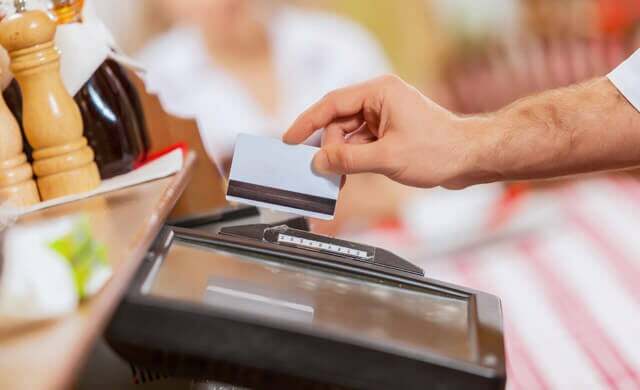 A good POS system can speed up payment times, help waiters or bar staff to take large orders, and help kitchen staff to manage output effectively. In every part of your business, an EPOS system is sure to help. Best POS systems for bars and restaurants. To help you select the best restaurant POS system for your business, we have reviewed some of the most popular EPOS systems for bars and restaurants in the UK today. The below table is a quick side-by-side breakdown of each system. For a fuller-fat analysis, read the whole article. Or, for a more cost-focussed and broad account of POS systems, take a look at our POS system costs page. Now we’ve seen the scope of the hospitality market, let’s take a look at each system in a little more detail. Or, to jump to an individual system, simply follow the links in the table. Winner of the of the Food and Drink Innovation award 2017, Nobly is used by many independent hospitality businesses. In tracking and processing transactions, Nobly provides restaurant owners with intelligent insights into their business, helping them to make informed decisions. It also works offline, which can be great for a restaurant that wants to take its business on the road but still process transactions. Best for: Nobly’s software works off an iPad, a plus point as this is hardware that restaurant staff are likely to already be accustomed to. EPOS Now have a very strong presence in the UK and offer complete EPOS system solutions and are a very popular choice for bar and restaurant POS systems. 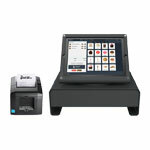 You get both the hardware (terminal, receipt printer, and cash drawer) along with the hospitality EPOS software. You package includes installation and support. Training is available if you need it and you can scale up the system as needed, whilst component parts are available to buy separately. Installation, set-up and training are included in the price, and the system is wonderfully scalable and can grow with your hospitality business. ✅ Combines hardware and software seamlessly and is suitable for both bars and restaurants. ❌ although readily available, the customer support is not always the most helpful. Lightspeed offer a range of monthly subscriptions for their restaurant POS which is an all-in-one complete system. It is a mobile hospitality EPOS system which utilises cloud-technology. Orders can be taken tableside and are sent directly from the waiting staff to the kitchen – meaning staff no longer have to wait for an open terminal to complete the order which cuts down the time between customers ordering and receiving their food. The Lightspeed restaurant EPOS also comes equipped with a high-tech restaurant management software which can be customised to your needs. You can also customise your system with their hardware components, ranging from printers to POS stands. ❌ The tech, whilst efficient, requires diligent staff training for maximum impact. Cost: Monthly subscriptions start from £79 per month for a one terminal basic system. 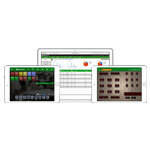 The Good Till Co offer a tailor-made iPad hospitality EPOS software. As your package is completely tailor-made, this is a highly customisable option. Table management is excellent. The inventory management aspect of the software is great for restaurant management and efficiency. Whilst predominantly operating on the cloud, it can also work offline without an internet connection. In its favour for UK customers, it is the only UK based hospitality POS software that provides online and phone support specifically in the UK. ❌ Can’t get a cost without a quote (this is due to the nature of its tailor-made service). Cost: Starter packages begin from £39 per terminal per month. 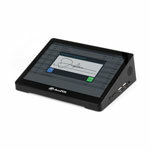 AccuPOS offer bar POS systems on a bundle, or modular, basis. So you can choose what suits you best. 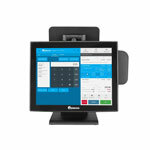 A basic ‘starter’ bundle will cost around £1,795 and includes the bar POS software along with a touchscreen PC, cash drawer, receipt printer, and card reader. Alternatively, you can buy all the hardware you need separately. Further software that may be suitable for your bar EPOS are offered as add-ons which include accounting, time clock, online store management and more. The software alone is compatible with a range of bar EPOS hardware. Customer support is available via phone 24/7. With integrated payments and remote accessibility from the cloud, the AirPOS is a great bar POS system. The AirPOS comes in the form of an app available for download on any iPad, Android or Windows device. It has a simple set-up meaning you do not need training – allowing you to be up and running with your new bar till system quickly. Connectivity is not a problem as it will operate offline. In order to use the bar POS software you will need hardware. You can buy hardware directly from AirPOS or choose your own. A simple starter package, which will operate from an iPad (not included), is £450. For this you get a cash drawer, receipt printer, tablet stand, card reader stand and a card reader which you can select from PayPal, iZettle or Payleven. You can also opt for a monthly subscription for £22 per month per device. Cost:Basic ‘starter’ bundle will cost £450, or, £22 per month per device. We’ve shown you the best POS systems with some idea of pricing but if you want to find out more information on what you might need to budget you can read our article on POS system costs. Or, if you’re ready to compare hospitality EPOS options now, you should complete the form at the top of the page. Filling in the form is free, quick and easy, and it could help your business to save time and money. What are restaurant POS systems? Sounds obvious, but at a very basic level, restaurant EPOS (or POS) systems are an integral part of any restaurant. A good restaurant POS system will act as an effective restaurant management solution. For more information on this topic, why not read restaurant management software: what do you need to know? The best restaurant POS systems are so much more than order and till systems. They will store and display menus, communicate between front of house and the kitchen and track customer preferences, making for a cleaner, more efficient service and ultimately, higher profits. Restaurant POS systems bring payment options directly to your diners’ tables. In the background they will analyse and monitor supplies taking the leg-work out of stock management so you can refine your menu and reduce wastage. Some POS restaurant systems even integrate with payroll using data regarding employee shift-on and shift-off times. 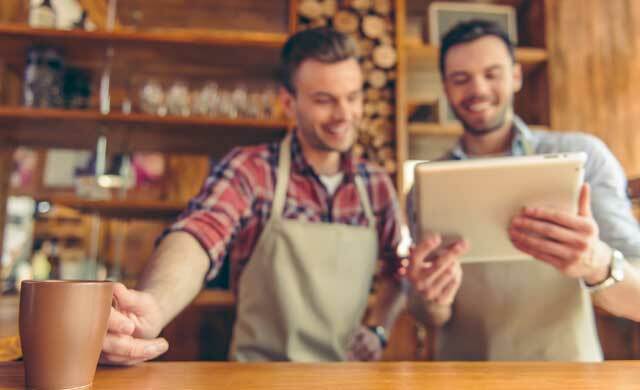 Increased sales and sales tracking: Restaurants, cafes, delis, bars and any other establishment serving drinks and/or food will be able to handle a large volume of transactions per day. In addition, tracking sales allows managers to identify what sells well and what does not. This data is invaluable. 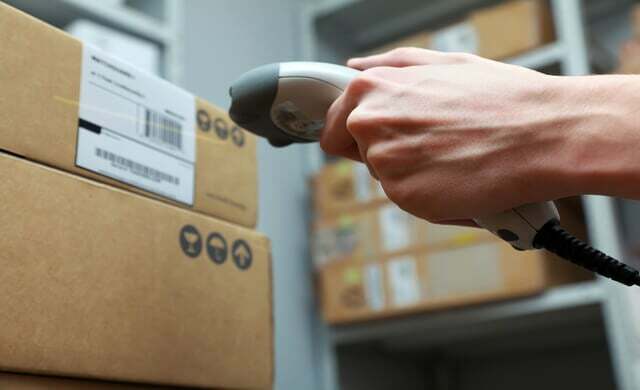 Inventory and stock management: POS software will track stock allowing for better and more accurate planning. 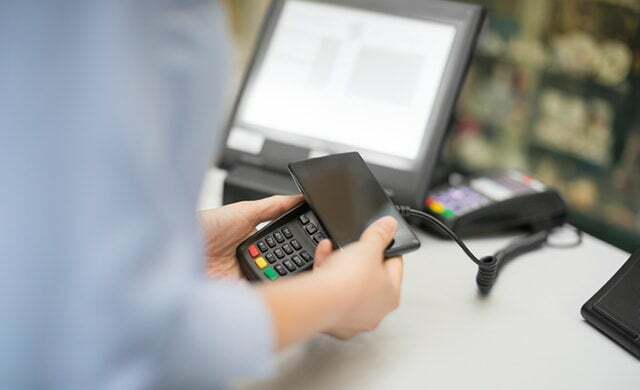 Safe, secure and fast payments: EPOS systems often come equipped with card machines, meaning payments are safe and secure. Accounting and finance: POS software takes the hassle out of recording and reporting figures for profit and loss, tax, and more. 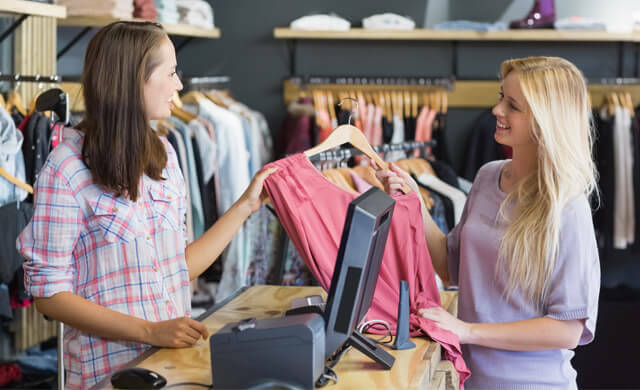 Efficiencies in labour: Notably, the best POS systems will eliminate slow and convoluted processes, and remove time-consuming manual tasks – such as reconciling cash registers. Staff insight:Advanced point of sale software can act as a time clock for staff, streamlining payroll, and improving accountability. Remote access: Some POS systems can act as bar and restaurant management software, allowing managers to view sales figures, stock data and much more, remotely.